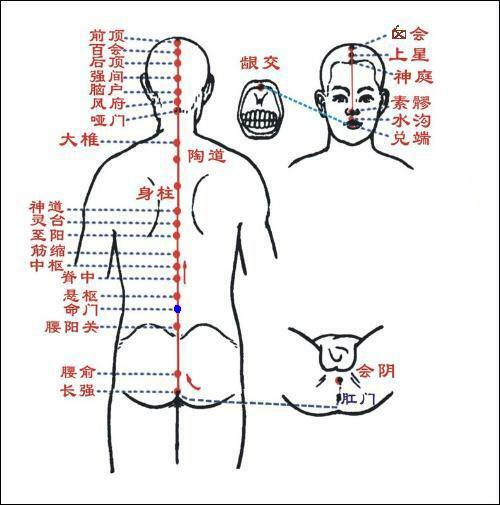 Mingmen(GV4,命门) is an acupuncture point in the meridian named Governor Vessel. On the midline of the lower back, in the depression below the spinous process of the 2nd lumbar vertebra(L2) . ④cold pain in the lower abdomen, diarrhea. Perpendicular insertion 0.5-1 cun. Moxibustion is always applied.